And thus the most divisive Star Trek show ever ends its half-season, not with a bang and not with a whimper. It just sort of ends. Perhaps it’s because this episode wasn’t even supposed to happen. 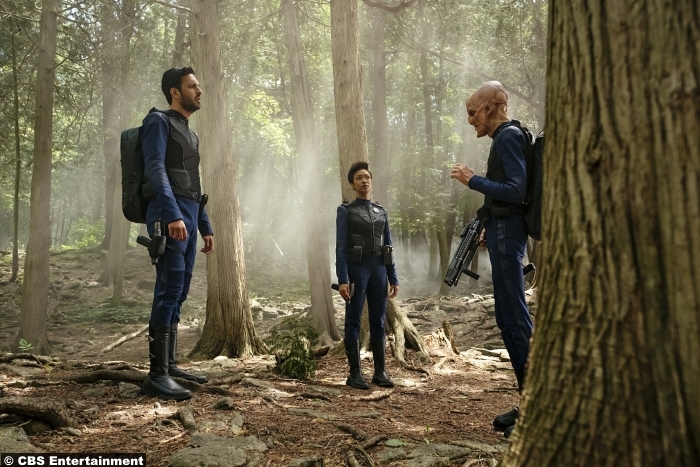 Originally the mid-season finale was to occur last week, which means the cliffhanger would have featured Discovery learning that the aliens of Pahvo had sent a beacon to the Klingons in the hopes of brokering a peace between the two parties. While I loved the episode last week (mostly for the plotline focusing on Saru), that would have been a pretty underwhelming cliffhanger. Apparently someone at CBS thought so too so they ordered an additional episode for 2017 and, apparently, a whole new cliffhanger was conceived, which opened up a whole new second half to the season. As a result we have an episode that is the most hollow, most uninspiring and—despite plenty of things actually “happening”— most pointless-feeling hour of the show so far. The biggest problem of them all in this episode revolves around how little the planet of Pahvo mattered in the grand scheme of things. Two-thirds of last week’s episode focused on the planet, introducing us to its unique properties and the strange beings who live there. This week, while Pahvo is talked about plenty, there’s no feeling of stakes or a sense of urgency with regards to it. The planet and its interesting aliens felt more like a macguffin than a vital part of the story. In fact, more attention was paid to Lorca’s desire to win the war on his own terms than helping the Pahvans for the sake of doing so. Last week’s episode seemed to be setting up a triangle of philosophies, with the war-mongering Klingons on one side, the peace-seeking Pahvans in the middle, and the Federation—who claim to want peace but Lorca is not the best representative of it—on the other side. 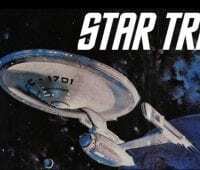 It would have made for a good, old-school Star Trek/sci-fi episode, with all of the conflict and drama that comes with such a premise. Instead that idea was dropped entirely, in favor of a trite “race against the clock” plotline that created only a false sense of urgency. 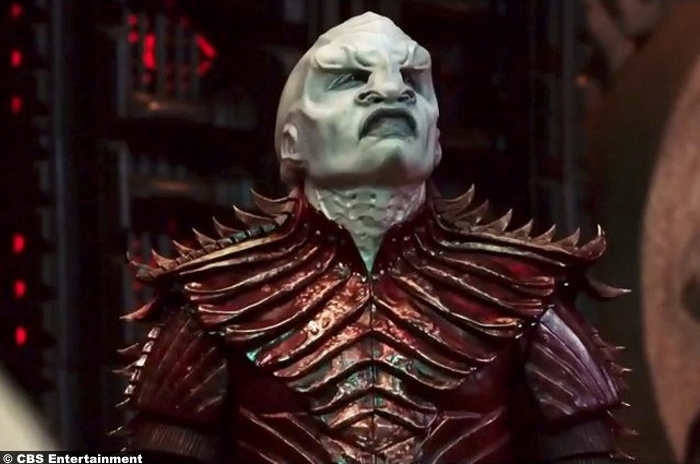 And then there are the Klingons, who represent the real problem with the season-long arc of the show thus far: There’s no consistency and there’s no feeling of progression from one chapter of the story to the next. Everything that happens with the Klingons feels more like a plot reset than a plot progression. 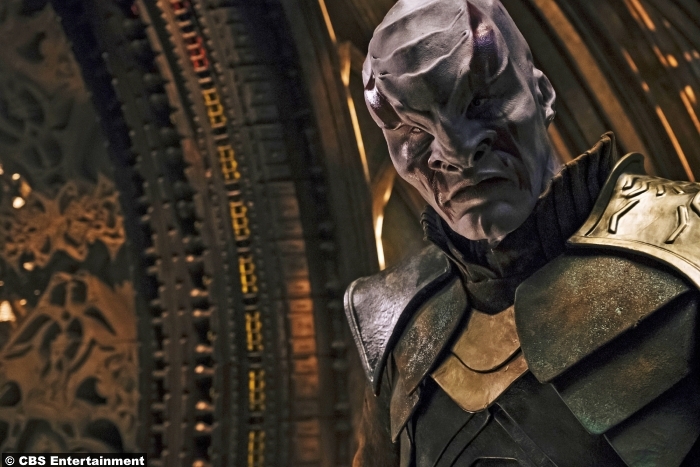 T’Kuvma was an interesting character but he was offed too early to be appreciated. Then came Voq, and while he could have been an interesting replacement he was essentially written-out of the show, at least in his original form. Then came the big bad in Voq’s place, Kol, but he was too one-dimensional to matter, and it turns out he didn’t matter much anyway because he was blown up at episode’s end. Is this a sign that the show is doing another, even bigger reset and abandoning some of their original ideas for the series, or was it always the plan to have a revolving door of villains that either can’t be appreciated or who simply aren’t well-written enough to be appreciated? If it’s the former that’s worrisome, if it’s the latter that’s frustrating. We’ll find out in 2018 I suppose. 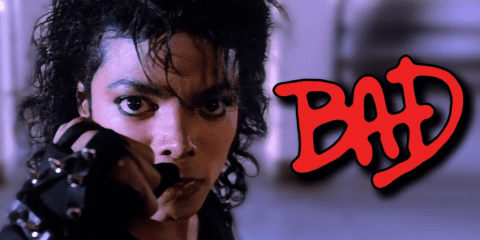 Either way, right now the build-up to the conflict between Michael and the Klingons—which is where the show began—seems to have been wrapped up, and wrapped up abruptly, clunkily and with a lazy hand-to-hand fight that accomplished nothing on a dramatic level. And then there’s Ash. At this point it must be the consensus that he’s a sleeper agent. The flashes of his trauma at the hands of L’Rell didn’t exactly spell it out but they seem to have given believers in the theory enough evidence to call it “all but confirmed.” It feels like this was supposed to be a big secret by the show’s creators but it’s been figured out by almost everyone from the start of it. Now they either have to see it through and have their big reveal be a sad-trombone, or throw a curve ball and have all their set-up in previous episodes suddenly make no sense. They’re in trouble either way, and might have been better served just ripping the band-aid off in this episode and revealing it to the audience before the break. And finally there’s the ending. 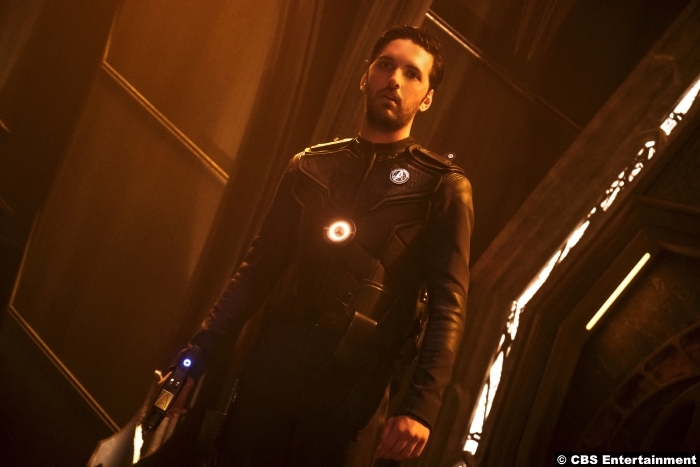 Stamets told Lorca that he was only going to make one more jump and then never again. The physical and mental toll it takes is too great. Lorca accepts and then they jump…to where? The episode ends with Discovery seemingly lost in the middle of a debris field with sensors unable to identify their location. 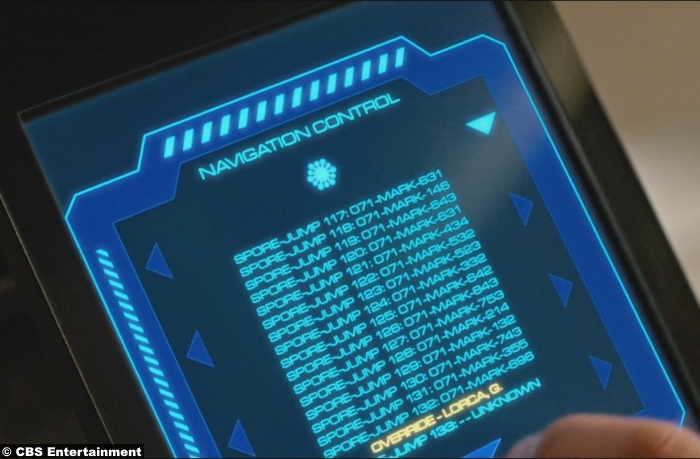 Just before the jump to Starbase 46, Lorca inputs an “override” on his console and seems to force the ship to jump to another location, presumably the location where the ship ends up. 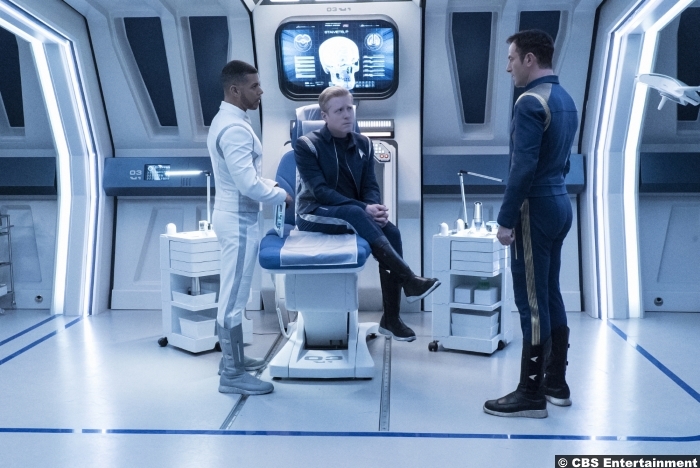 Since he and Stamets were talking earlier in the episode about alternate universes being opened up by the spore-drive, it’s reasonable to assume Lorca decided to jump head-first into one, expecting that he’ll be able to convince Stamets to keep using the drive to get the ship back to their home. 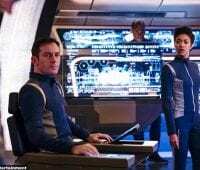 Looking back on the weird “mirror” moment that Stamets had several episodes ago, it’s not a stretch to think we’re getting some version of the mirror universe out of this. So there are possibilities going forward for some intriguing stand-alone episodes. 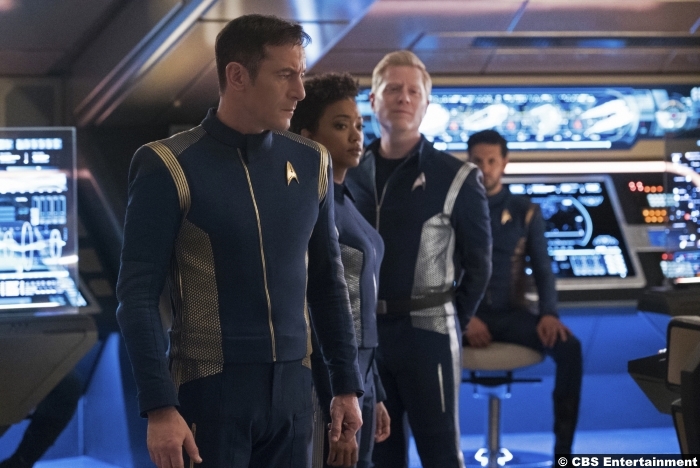 Considering how the best episodes in this first-half of the season were stand-alone, I choose to believe this is the show’s creators’ way of hitting a hard reset button and shifting the focus away from a war with the Klingons. That particular plot thread was never strong, and even though we still have L’Rell and Ash/Voq, that at least offers the possibility of drama and intrigue, which the previous episodes’ Klingon scenes lacked. But none of that matters if the creators don’t fix the structural problems plaguing the show so far. 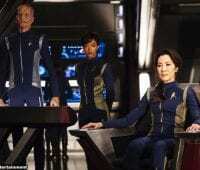 Episodes need a tighter story each week, ideas need to be explored instead of just talked about in passing, we need to get to know the characters beyond the superficial, and the ship at the center of the show needs to start boldly going places. 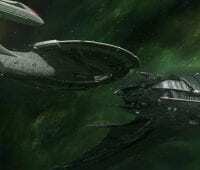 For a show titled “Discovery” there’s been a gross lack of it thus far. 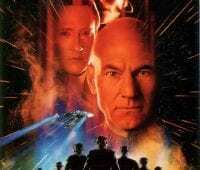 Star Trek has never been about space battles or sword fights with Klingons. Those things happened all the time in the shows of yesteryear, but they were always offered up as changes of pace. 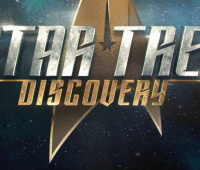 Star Trek is a show about…well, discovery. It’s about meeting new life and new civilizations and, in the process, learning a little about ourselves along the way. 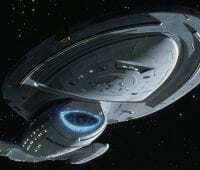 Star Trek is a show that’s supposed to make you think. 6/10 – “Into the Forest I Go” managed, at least, to give me hope for the future, but at the same time it was so committed to promising me better episodes ahead that it forgot to do much of anything new or fresh in the present.